The state of our environment is appalling. Many of the regulations that are currently in place are not making enough of a change for what they are worth. As it stands, the current head of the EPA, that you appointed, denies climate change. Water sources in underprivileged areas are polluted and they can’t afford to change sources. There are marches to keep science in politics and to argue that scientific fact is true. 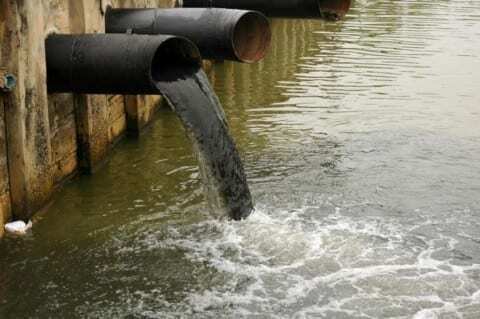 Factories dump waste into rivers that are main sources of drinking water in poor areas. There is a widespread drought across much of the South and even rich landowners are being affected. Despite how much money they have, they cannot control the climate. Is this the “Great America” that many of your supporters envisioned when voting for you? Regardless of your answer, a change is necessary-it needs to happen soon. Whether it is through the repealing of an ineffective regulation or the addition of new regulations, there must be a change. According to executive order 12291, enacted by Ronald Reagan, “there must be regulatory oversight and it is the president’s job to oversee them.” This requires the president to be well-versed in the current regulations that are in place and to be fully educated on all of them. If you truly believe that you are fully educated, you should plainly see the problems that we have with the current system that is in place. In a Forbes article written by Tom Pyle, President of American Energy Alliance, on the topic of the EPA Clean Power Plan, he states that the cost of environmental protection is not worth it. This is derived from the high regulatory costs of environmental laws and the current decisions that are being made about our environment. The American Energy Alliance has dedicated itself to informing the public about the risks that are overlooked while looking into environmental protection. This article brings up the problems that we face as a human society and where we need to go from here and even the people that fight for keeping the current regulations in place know that there are definite problems. Looking from a general economic standpoint, if the regulation can make profit and make a viable change, then it is good. Peter Sale, a marine ecologist and award-winning author, states in his book, Our Dying Planet, that “anybody who thinks we can go through a mass extinction and be perfectly fine is just deluding themselves.” This is an accurate representation of what is happening currently. As we’ve seen, marine life biodiversity has been on a decline since 1995. This is a result of the constant nitrogen pollution killing off entire species of fish enough that only the strongest survive. According to a study done by Richard Black of BBC in 2011, “we will have used up 27 Earths worth of resources by 2050 if we continue to abuse nature.” This should be an alarming report but there are still people that think global warming was made up by the Chinese so they don’t believe in reports and statistics. I am seventeen years old and live in a small town in Montana. In the next four years, I hope to see you succeed in everything that will help the country. I can’t see you doing this however, with the current state of the environment. It’s quite hard to protect the country when the land that it’s on is falling apart. Between the widespread drought, the constant illegal emissions from big factories, and denial of scientific fact, the country is on a decline. As it stands, you are replacing the wrong regulations. So, Mr. President, do you truly believe that everything is perfectly fine in the world? If so, maybe you should take a walk in some underprivileged areas and look around. If you do, you will see the absolutely deplorable conditions many of us are forced to live in. You’re a smart man; smart enough to become president. There is no way you haven’t seen anything that’s been going on recently. Many of the current regulations in place cost too much and must be replaced with more cost-effective options. Don’t let our planet die. Letter to the President by Joshua is licensed under a Creative Commons Attribution-ShareAlike 4.0 International License.